Hey, I’m not pointing any claws here but there are a few items not fully explained in the conference brochure. 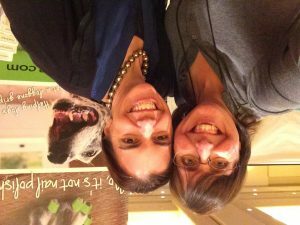 I’ve attended my share of conferences over the years but BlogPaws 2016 took me by surprise. Sure the past attendees raved about the previous 7 years. Yeah the video on the website highlighted people having fun. Pre-con photos showed the resort in all it’s glory. Exhibit hall vendor list looked exciting. Perhaps the classes and workshops could teach me helpful nuggets. Maybe I would even meet someone famous on the Red Carpet. There has to be a catch right? No conference could be that good. Have you ever sat on the floor in front of a golden retriever and been slapped in the face repeatedly by their fluffy wagging tail? 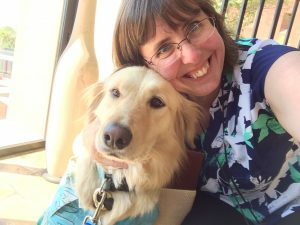 Every moment of BlogPaws jolted me with yet another perk, another business epiphany, another wonderful person, just like that crazy goldie tail. Here are just 7 of my insights. But if you are like me you will just have to experience it yourself in Myrtle Beach, SC May 18-20, 2017. Plan on chatting with the vendors much longer than you expect. Every single company had a friendly and engaging representative, often people AND animals! While I really wanted to win a new dSLR camera or a GoPro I just did not have time to visit with 30 of the vendors to fill my passport. 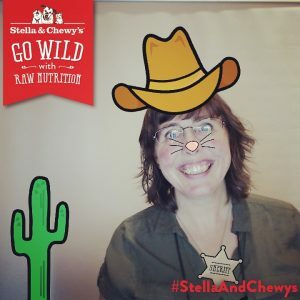 Every booth I stopped at we swapped animal stories, took selfies, loved on furbabies, and learned more about their product, company or organization. So seriously do the math: 43+booths x 15 min each (minimum)=645 min/10.75 hours. The exhibit hall is only open a total of 13 hours. I suggest making a plan of action, bringing a team of 1-3 friends, and compare notes. Otherwise you will only be able to see a few vendors. My jaw dropped open at the registration table early on opening day. When the staff asked whether I would like dog, cat or a combo swag bag, what size t-shirt I wear, and issued my fancy name tag I almost froze on the spot. Wait! I’ve been slacking in my boxing class and don’t think I have the arm strength to carry my giant canvas bag a few feet down the hall! Somehow I managed to stumble to a comfy chair around the corner to assess the goodies. (I shared the un-bagging on Periscope too). 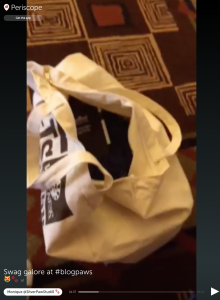 Those who couldn’t trick TSA into thinking that bag is under 50 pounds and not spilling over stopped by the Shipping Room on closing day. Shipping companies neatly flew your new treasures home in a sturdy box. Next year pack an extra suitcase, prepare for oversize bag fees, or just add a stop to the shipping room to your agenda on the last day. Hungry+Angry=no fun for anyone, Raise a paw if you’ve ever been Hangry. 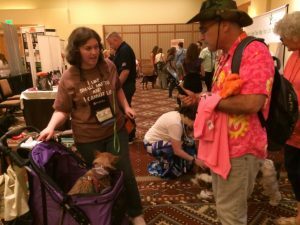 Education is a happening non-stop at BlogPaws. If you are like me my brain turns off completely when I’m hungry. (And I may become a bit irritable, just ask Michael.) 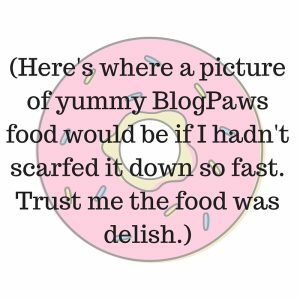 There is zero chance for you or your pets to be hungry at BlogPaws. Every few feet there are snacks & drinks for dogs, cats, and people. Many thoughtful companies sponsored food offerings throughout the conference. 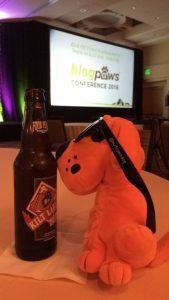 Breakfast, lunch, dinner, snacks and Yappy Hours are ALL included in the conference registration. Work hard, eat well, pack baggy clothes for the trip home. 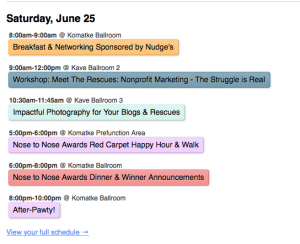 You’ve painstakingly decided which speakers to listen to and which workshops to attend. Pretty color coded conference schedule is pinned to your cell phone home screen. Printed conference schedule items circled and highlighted. 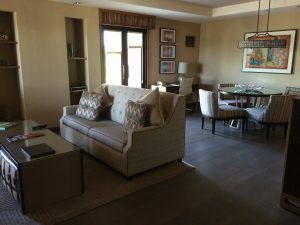 Maybe you have even factored in the long walk through the resort to change clothes throughout the day (you and your pet’s clothes btw). 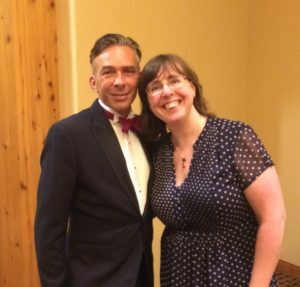 Suddenly you meet a fellow attendee and could talk to them for hours! Then they ask if you heard about another mini gathering. Then you walk past another micro-party in the hall. All these things happened to me! Bring walking shoes, add some flex time in your schedule, and plan on sleeping when you get home on Monday. Have you been practicing your smile? The PawParrazzi are everywhere! Selfies galore, funny speakers, cute animals, vendor photobooths, and of course the Red Carpet will all threaten to freeze your face in a smile furever! 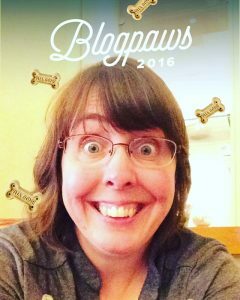 Clear the memory on your camera roll, channel your inner celebrity (‘cause you are one at BlogPaws) and mentally prepare to have a permagrin for at least 3 days. Yes seriously. Have something to share? Part of attending the conference is to learn new skills. My classes on Livestreaming and Photography had people sitting on the edge of their seats. 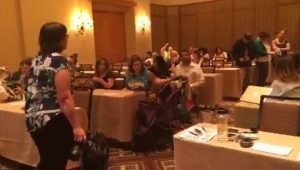 Any fear of public speaking will dissolve in the welcoming rooms of BlogPaws. Pay it Forward, we will all be there to howl and meow our support! 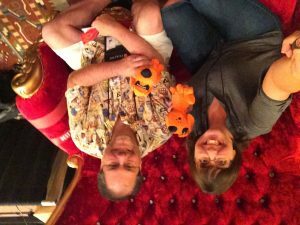 Can I just live at the resort with all the fab-u-lous BlogPaws peeps? Pretty please? Three days flies by in a blur leaving you floating on a fluffy cloud of gratitude. I have talked non-stop about every wonderful moment (almost lost my voice actually) to anyone who will listen. While I finally succumbed to reality and made my trek back home I am comforted in the dreams of seeing everyone again next year. Pretty sure I have convinced everyone to join me in South Carolina next spring. 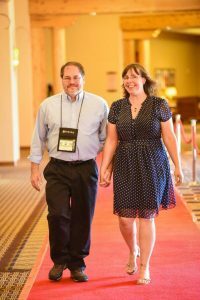 Trust me there is much, much more to a BlogPaws Conference than the brochure could ever cover! 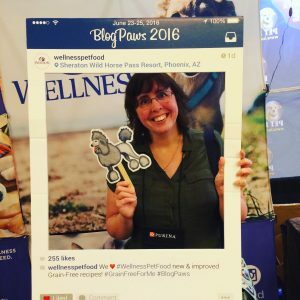 It was my first BlogPaws too! Problems: my own personal time management, tearing myself away from some of the cutest pets on the planet, and stopping to let people take photos of my Annabella (she is the Pom with the red tail). So glad I drove my honkin’ long Yukon XL so I could haul all that swag back to California! 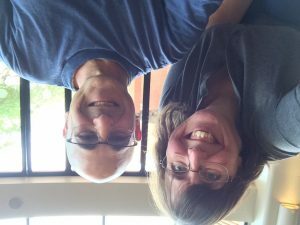 What an awesome time – so many people too! I can’t wait to see your broadcast replays. 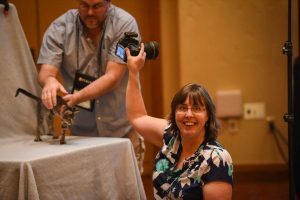 Wonderful account of the conference. I really enjoyed reading. I think it’s safe to say from the smile plastered all over your face that you had a fantastic time! Hopefully I will attend one year…. looks like such a great experience! Hi Monique! Loved this post. I relived the whole experience through it. You nailed it. I thoroughly enjoyed your photography class and am going tomorrow to buy the supplies to build my table. Loved your post. 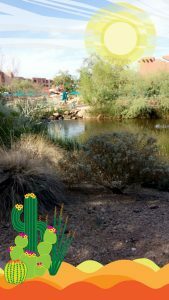 BlogPaws was so awesome. It was my first time. I saw you… but didn’t get a chance to meet you or attend your seminar. So bummed. Next year for sure!!! !